More than forty years after the crime drama first aired in 1976, 'Charlie's Angels' is making a comeback in a new film directed by Elizabeth Banks, the first image for which she shared on her twitter account yesterday. 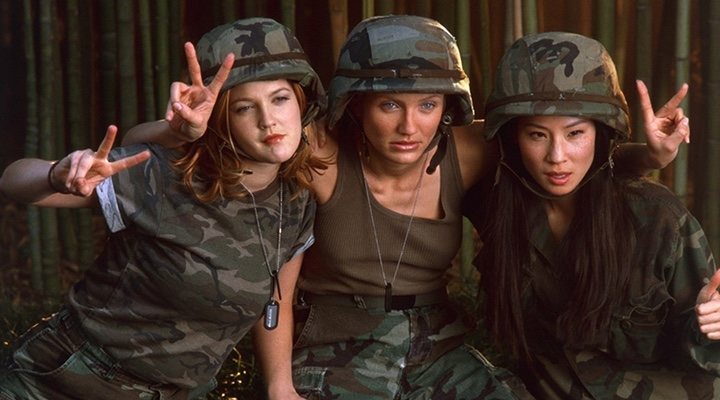 As well as being a television series in the 70s and 80s, which amounted to five seasons and over a hundred episodes, 'Charlie's Angels' also came to the big screen in two films in the early 2000s, starring Cameron Diaz, Drew Barrymore, and Lucy Liu. This new film is set to come to cinemas at some point this year with Ella Balinska, Kristen Stewart, and Naomi Scott in the leading roles. Very little information has been confirmed about the upcoming film but we do know that, rather than being a reboot or remake of the films and television series, it will continue in the same universe, only imagining Charlie Townsend's spy agency modernised and transformed into a global organisation. Joining the three aforementioned angels in the cast are big names such as Sam Claflin, Noah Centineo, Patrick Stewart, and even Banks herself, who will be playing the role of Bosley, the angels' boss. Banks added the #4PercentChallenge to her tweet, showing solidarity with the new TimesUp movement aiming to encourage more female directors in Hollywood. The challenge calls for actors, actresses, and producers to sign on to work with at least one female director in the next two years and was launched during the Sundance Festival in January. The 4% refers to the proportion of Hollywood blockbusters which have been directed by women in the past ten years; Banks is one of the few female directors to belong to this small percentage after having directed 'Pitch Perfect 2' in 2015. Banks is known best for her acting roles in films such as 'Hunger Games' and 'Pitch Perfect', but beyond her onscreen stardom Banks also has an ever-growing career as a director. She made her first short in 2010, with 'AIDS: We Did', starring Adam Scott, followed by her first film in 2013, the bizarre 'Movie 43'. Her first solo project as a director was the global blockbuster 'Pitch Perfect 2', and 'Charlie's Angels' is only the beginning: according to IMDB, Banks is also set to work on a new romcom, 'The Greater Good'.